"Hello" entered the UK singles chart at #25 on 4th March 1984, and reached the top spot just a couple of weeks later on March 18th, pushing Nena down to #2 with "99 Red Balloons". The single remained at No.1 for six weeks. 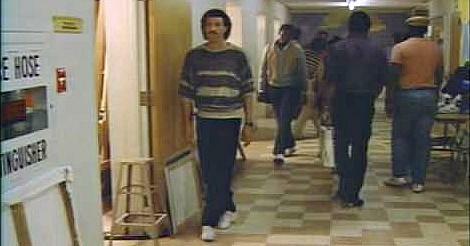 The iconic video features Richie as a teacher who is in love with a blind student. Sadly, it's an unrequited love, until she creates a bust sculpture of Richie near the end of the video. 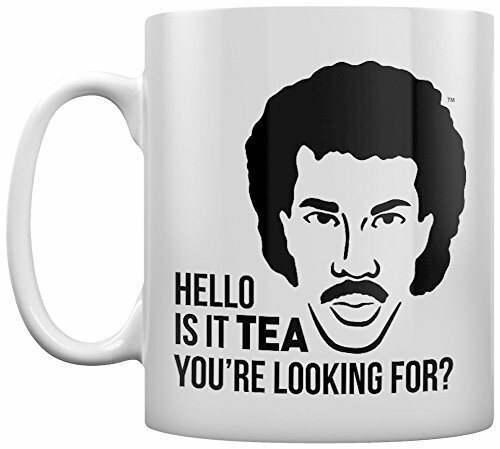 As she caresses his head, he sings "Hello, is it me you're looking for?". Erm, no Lionel, she can't see you! The bust became infamous for hardly resembling Richie, who complained to the director, Bob Giraldi, that it did not look like him. The scene was parodied pretty often back in the day. The song brings back many memories for me, as it was at No.1 when I was going out with my very first girlfriend. I always remember her saying; "this isn't still No.1 is it?". Obviously, she wasn't into 80s ballads! Turns out she wasn't into me either and we split within just a couple of weeks! Despite the cheesiness of the video, the ballad itself often brings a tear to my eye thinking about my own first love. That sounds a little syrupy, I know, but just about every song from the 80s revokes a memory, be it good or bad, and that's the beauty of music. 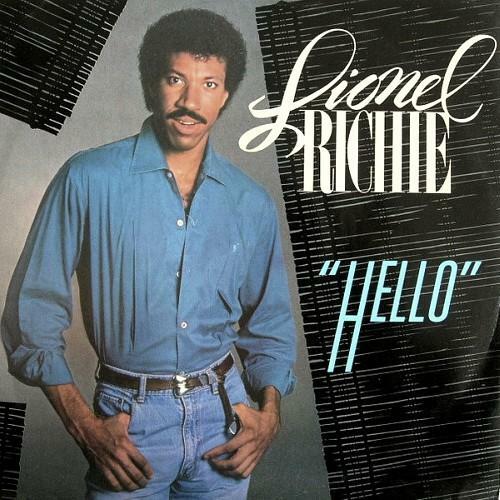 Lionel Richie had five #1 singles and three multi-platinum albums in the U.S. during the 1980's. Hello reached #1 in a number of countries - including the UK and U.S - and was taken from the 10x Platinum album (3 x Platinum in the UK) Can't Slow Down. Other hit singles from the album were All Night Long, Running With The Night, Stuck on You and Penny Lover.